"We found EDIAir HOST to be the best match for us and implemented the system early 2011 in connection with the introduction of new EU Customs procedures for airlines. We have not been disappointed – the installation process was completed in a few days and we are now operation a full fledged carrier system with an extremely strong focus on customer service enabling us to handle reservation requests and monitor the quality of our shipments. We also took an option on EDIAir WEB, which is today customized to Estonian Air look and used by our forwarders and handling agents in connection with document handling and upload of status information. The WEB system works hasslefree and we have really saved time and costs by avoiding errors and double data entry." AS Estonian Air is the Estonia’s national carrier. Founded on 1 December 1991, Estonian Air is owned by the Estonian state and SAS Group. His home base is Tallinn Airport. "We were the launch customer on EDIAir HOST and have been satisfied with the performance of the system since implementation. The up-time is extremely high and we really appreciate the user friendly attitude by the maintenance crew implementing changes and updates with a very short lead time. The knowledge of air cargo procedures in messaging and handling is remarkable and worth a lot. I can with no hesitation recommend EDIAir HOST and EDIAir WEB to all industry partners working within the field of air cargo." BALT-cargo terminal start-up activity on 1998 at airport of Vilnius. Today, BALT-cargo terminal is responsible for handling, FI, SK, LO, OV & Kales airlines services which include CA, AL, NZ, CI & other. "Since we started to work with the Sychene EDIAir HOST we have achieved remarkable results in time savings, reduced number of errors and simplified low cost EDI messaging processes. The system is operated with a very high uptime. 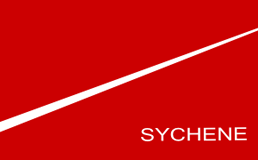 It has also been a positive experience to work with Sychene during the implementation and maintenance process. The customer service is user-friendly, they react very fast and quickly understands our problems and within short they present and implement the accepted solutions." Established in 1993 GHC Litcargus is the first independent private owned ground handling company in Vilnius International Airport. Cargo Application Service Providers .Net CC. Caspnet are operating their business on CCS principles and are focused on servicing the South Africa cargo communities full EDI requirements.